If you’re interested in a custom look but like the reliability of a proven brand name design, you should consider customized garage doors. Customized garage doors can feature your choice of color, panel design, windows, and hardware on a standard body. Whether you’re buying new garage doors Granada Hills CA because your old ones are damaged or simply don’t look very nice, we can help. Just let us know what kind of design details you want in your doors, and we’ll help you find ones that have the right colors, window shapes, decorative hardware, and other details. We’ll also make sure to recommend a door that is durable and reliable. Many customers find it advantageous to purchase an insulated door with full weatherstripping to help keep their garage cool. Since the garage door opener plays a big role in your garage door’s performance, we’ll make sure that you get an opener that has all the features you want. 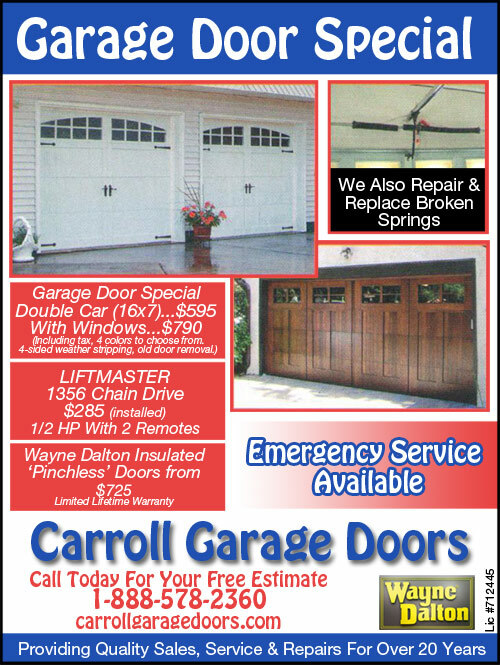 Buying your new garage doors from Carroll Garage Doors has another benefit: we install the doors. This means you know they will be set up correctly and perform well. We even guarantee our work with a warranty. 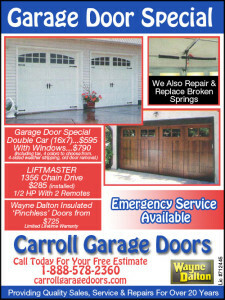 As a courtesy to our customers, we can rehang their old garage door openers to fit their new doors at no extra charge.